Task: to create a centralized storage for digital collections. The website is designed for collectors of anything. The convenient interface allows to start a collection for which it provides an easy to use and comprehensive search system. 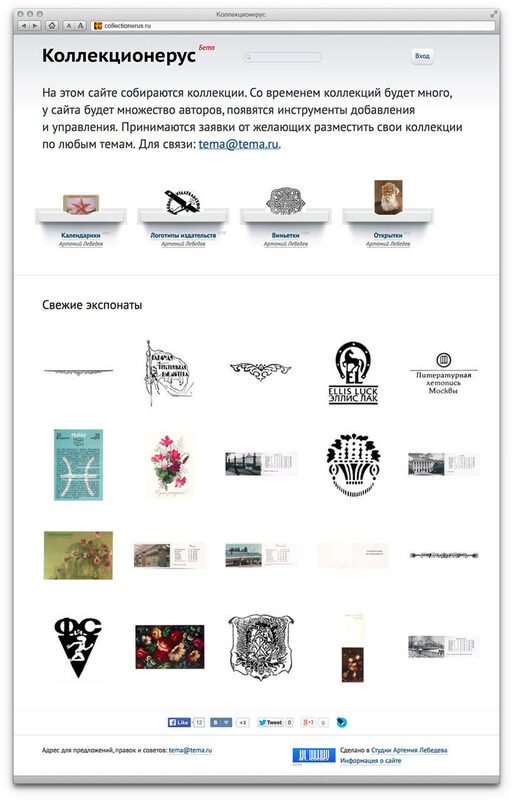 At the moment, access for collectors is available by invitation only (send applications to tema@tema.ru), but there are no restrictions for viewers. The set of fields used to describe items is defined by the collector depending on the features of the collected items. Some of the collections on the website already have more than 1000 items listed (there is no limit). Items can be filtered by any combination of properties on the collection page. 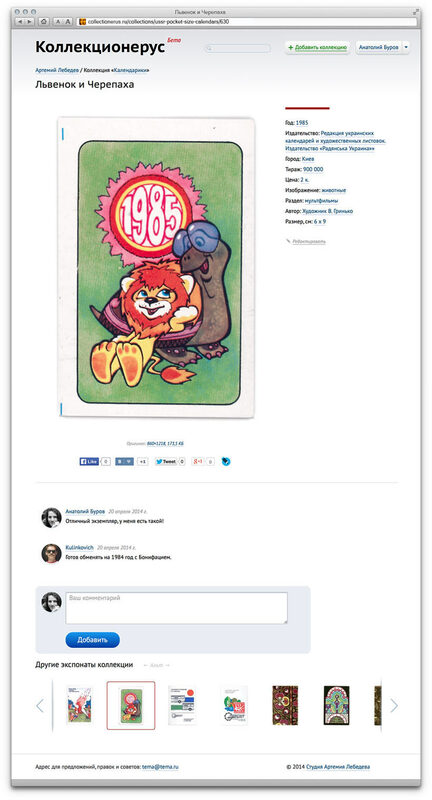 Generous collectors can provide high-resolution images of their items and discuss them with other members.